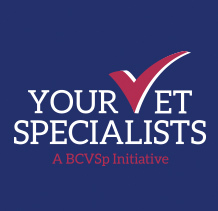 Vet Specialists are the equivalent of Consultants in human medicine. There are over 30 different disciplines and all species are encompassed from dogs and cats to farm and zoo animals, and birds, fish and reptiles. Sorry, we couldn't find any vets that matched that criteria. We are just starting this Twitter account to let everybody know about this charity.